Does a Closing Date on a Real Estate Contract That Is Not Met Void the Contract? A real estate contract limits the amount of time the buyer and seller have to perform certain obligations. One of the most significant obligations is the agreed-upon date for the closing. A failure to close on the date specified won't always result in a breach of contract. However, if the closing date provision contains a few magic words, the failure may constitute a material breach. 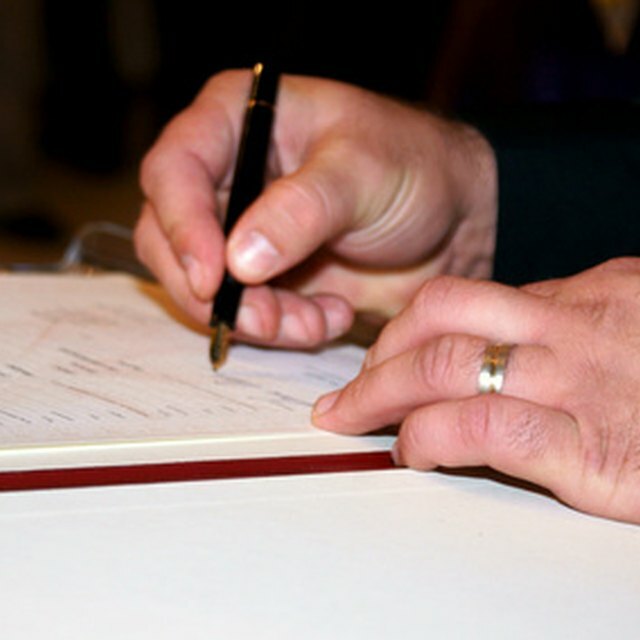 Most real estate contracts have a provision for the date, time and location where the closing is to occur. However, the contract doesn't depend on closing on the specific date provided. Both sides are entitled to reasonable adjournments of the closing. If the contract doesn't initially contain a "time is of the essence" clause, and the closing doesn't occur on the date provided, either party may make the new closing date a "time is of the essence" date. Material Breach: "Time Is of the Essence"
If the closing date provision includes the words "time is of the essence," closing on the date provided will be a condition to performance of the contract. Failure to close on the "time is off the essence date" may constitute a material breach of the contract, and the non-breaching party will be entitled to any remedies that the contract provides for -- which may include voiding the contract. As every contract is different, look at the contract in question to determine the specific remedies available. A contract provision regarding the closing date may, in some circumstances, require the parties to close on the date provided even if there is no "time is of the essence" language. In a provision that may imply that the closing date is "of the essence," a clause might state the closing will be "on or before March 30." This provision could be construed to mean that the closing must take place no later than March 30. The parties express their actual intent in setting the closing date. The language should be clear, unequivocal and provide absolutely no room for interpretation. If the buyer or seller wants to make the closing date one that must be adhered to, they should clearly state that the closing date is a "time is of the essence" closing date.